As we move forward with legalization and adopt cannabis as a mainstream medicine and recreational substance, it’s important to stay informed about the potential risks and adverse affects it can have. As with any other medication, food item, or drug, cannabis is not for everyone. Daily Hive consulted Dr. Tony George, Head of the Biobehavioural Addictions and Concurrent Disorders Research Laboratory (BACDRL) at the Centre for Addiction and Mental Health in Toronto (CAMH), about some of the issues we should be aware of as we await legalization. Cannabis is a drug. Consumption can lead to a cycle of reward and dependence, and produce withdrawal systems when you stop. The Diagnostic and Statistical Manual of Mental Disorders, Fifth Edition (DSM-5) lists 11 criteria for identifying Cannabis Use Disorder (CUD), of which a person must exhibit at least 2. Repeated, unsuccessful efforts to stop or limit use, choosing cannabis over important things like family/friends/school/work, and continued use after physical or psychological problems arise are a few of the items listed. Rates of CUD are higher in schizophrenic populations, which is reflective of an overall vulnerability for substance abuse. Individuals with frontal lobe disorders experience reward in a different way and have a reduced ability to limit drug intake. “Underlying brain biology” offers a simplified explanation as to why rates of problematic cannabis use are up to 10 times higher when compared to the rest of the Canadian population. Only 1-2% of the population has schizophrenia or is at risk, and about 5% of the population or less is at risk of cannabis-induced psychosis, but that adds up to almost 2 million people in Canada. Higher THC concentrations have more side effects and the “majority of bad outcomes are psychiatric or mental health-related,” says Dr. George. This doesn’t mean that everyone who smokes weed is going to have a negative experience, but it’s an important factor to consider when creating policy, prescribing cannabis, or choosing to use it recreationally. 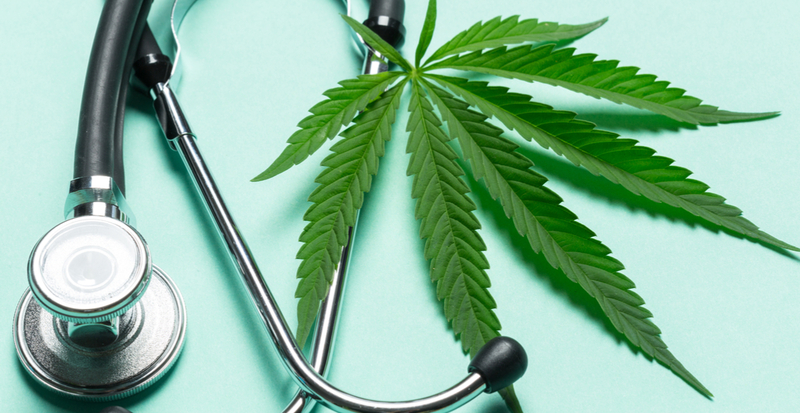 If you have a mental health disorder or are at risk, Dr. George suggests minimizing cannabis use, knowing the levels of THC in the product you’re buying (and opt for something low), or don’t use it at all. Health Canada medical cannabis is indexed at 12-15% THC levels, which is about half the concentration of what you can get on the streets or dispensaries. “It’s not clear how they are going to determine what the competitive content of THC is going to be in the legal stuff versus illegal,” but proper labelling will be necessary so that consumers can have an accurate indication of exactly what they are buying. Has cannabis use reached its limit among Canadian youths? Our government has an obligation to fund proper data collection and analysis before legalization happens. Perhaps the most important conclusion we can come to is don’t jump to any! The debate about cannabis is multi-faceted and nuanced, with new opinions and information emerging each day. It is necessary to apply critical thinking and understand that links and associations do not equal a cause and effect relationship. Legalization does not mean that cannabis is a cure-all or safe for everyone. It’s important to understand the potential risks and make an informed decision as to whether it’s right for you if you are currently using, or curious about trying. Educate yourself, seek out credible resources, ask questions, and join the conversation about cannabis. Dr. Tony George is Chief of the Addictions Division, Clinician Scientist in the Campbell Family Mental Health Research Institute and a Professor and Co-Director of the Division of Brain and Therapeutics in the Department of Psychiatry at the University of Toronto, along with his position at CAMH. He has over 220 peer-reviewed publications, book chapters, and other reports. His area of research focuses on understanding the biological basis of addiction co-morbidity in serious mental illness, with a focus on tobacco and cannabis use in schizophrenia.